Olivia tore her medial patella-femoral ligament almost one year ago in a high school soccer game. She initially came to rehab her knee for a couple months to try to return to soccer and avoid surgery. However the chronic instability of her patella resulted in surgical repair. 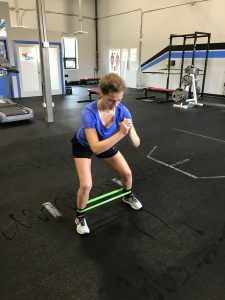 She underwent surgery in the beginning of February 2018 and has been working hard over the past 6 months to get back to her prior level of function, as high school soccer player. The beginning phases of her rehab included achieving her full knee range of motion, initiate muscle activation especially in her quadriceps using neuro-muscular electrical stimulation and learning how to walk again. After being immobilized for 4-6 weeks she had significant weakness in her lower extremity, impaired balance and proprioception. Olivia has been working so hard to get her strength and endurance back. Some of the treatments Olivia received in PT were dry needling to help improve her flexibility especially in her quadriceps and gluteal musculature. We did a lot of deep tissue massage and patella mobilizations to improve her overall motion in her knee. And retraining her movement patterns to avoid compensation. 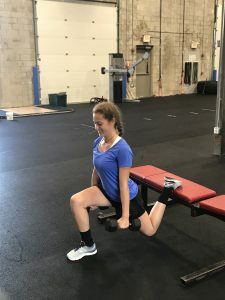 As she began to normalize her gait her program was progressed to higher level strengthening, balance and more sport specific training. Olivia is now starting to play in practice and ramping up her game time at a smart pace. When working with any post operative patient, timing is key, and it is very important to ramp up the intensity and frequency a specific pace personalized to the patient. This is all very important to avoid any additional injuries that can occur when progressing too quickly. Check out Olivia working on her strength with our friends at Olympia Fitness and Performance! 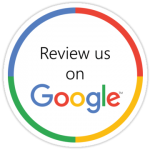 I have been a patient of Amanda’s at Specialized Orthopedics for the past year during which she has been a continuous positive influence on me while I rehabilitate from knee surgery. Her professionalism along with her continuous encouragement and guidance have helped me gain the confidence to return to what I most enjoy, and that’s playing soccer! Amanda and the other staff members are always upbeat and supportive at every visit, of which there have been many! My exercise routine has been continually updated and personalized to meet my specific needs and ensure that I am meeting my goals to full recovery. I am truly grateful to Amanda for the compassion and care she has shown me this past year. Olivia was a great patient to work with! She worked so hard and is still working hard to reach her goals. This has been a long road to recovery for Olivia but her positive attitude and hardworking mentality has led her closer to a full recovery. We wish Olivia the best of luck in her future endeavors with school and soccer! We will miss working with you but will see you out on the soccer!